My complete guide to Holochain (HOT). It’s not a blockchain, but it is a cryptocurrency. On the 1st of this Month I published a short post in which I explained that I had been rather busy, busy entering a blogging competition. The topic was “Holochain”. Being myself, I wrote a rather detailed article. Unfortunately, as per the rules of the competition, I was not allowed to publish it anywhere else until after the competition. Good news! The competition is now over and I can share my guide to Holochain with you! NOTE: I am publishing this post “as is”. It was correct at the time of publishing, but certain things, especially with regard to token price etc may now be a little out of date. As always, Do Your Own Research before investing in any crypto. Today I will be discussing the cryptocurrency known as Holochain. I’m no Holochain expert. 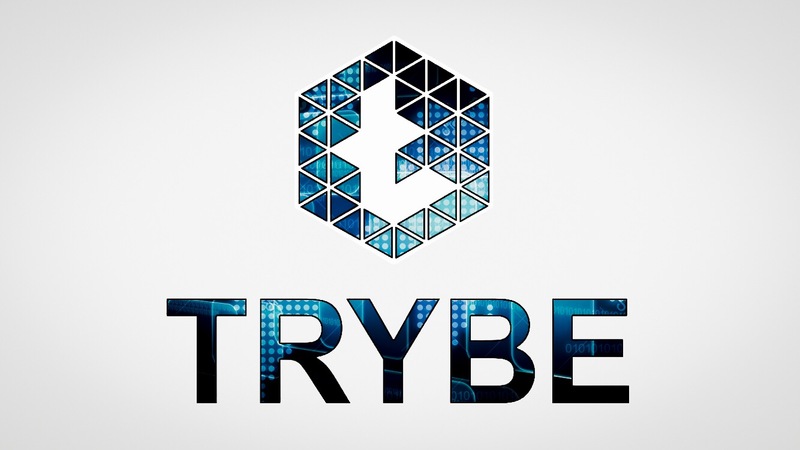 Full disclosure: I didn’t know much about Holochain prior to reading this James Diegel post: the one announcing the launch of the Trybe Holochain competition. But I’m not about to let that deter me, studying up on cryptocurrencies is what I do for fun (as depressing as that may sound). In order to write this article, I decided that I would analyse Holochain just as I would analyse any cryptocurrency or ICO which I was interested in investing in. Let’s take a look at what I found, it should also give you some insight into what I look at when analysing a coin which I am interested in. While researching Holochain I came across an article titled: “Here’s Holochain in 100, 200, and 500 words“. If you want a short Holochain article then I suggest that you go read that one instead; that’s not how I roll. When I research a coin, I research it properly! Proper research takes considerable time and effort, even for someone who already knows a thing or two about the world of crypto. I could have chosen to sum up my findings in 10 short paragraphs, but what would have been the point? Holochain is a new type of cryptocurrency technology; a step away from the blockchain. To write a condensed summary would mean leaving a lot of important information out and it really wouldn’t give you a proper picture. If you have some experience with cryptocurrencies then you should be able to follow this article, if you are new to crypto then this is probably not the article for you. Before you read on, go get yourself a drink, slip into some comfy clothes, sit back and relax. Don’t for one second think that just because I happen to be entering a Holochain contest, that means I’ll “be kind” and automatically give Holochain a glowing review. Over my dead body! What you will find here is my truthful “warts-and-all” opinion – as always. I’ll begin by pointing out the elephant in the room: 🐘 Holochain is not a blockchain. 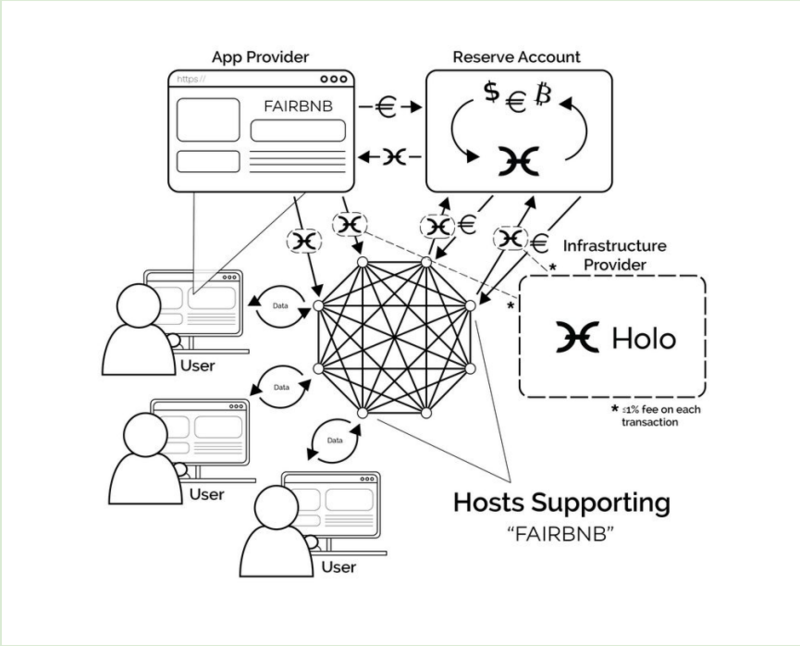 Holochain is a framework for distributed apps. It’s the base that other apps get built on, much like Ethereum, EOS or NEO. In the crypto world these are normally referred to as platforms or builder coins. Normally the apps that run on these crypto platforms are called DApps. Holochain prefers to call them hApps – cute, but I wouldn’t count on that name catching on. Each app/DApp/hApp forms its own network on Holochain. To communicate between these networks, agents are used when necessary. At the “centre” of the Holochain is a DHT – a Distributed Hash Table – think of it as a referencing system. Using this architecture, network nodes store redundant entries of other nodes. This allows any node to go offline without compromising the availability of information to users of the network. Like those of their blockchain counterparts, Holochain transactions are immutable. Before storing any content, a node will run cryptographic validation checks on it. Because of this, even if one node has had its own software compromised by a hack, it will not be able to affect or infect the rest of the network. Inputting a malicious entry changes the validation rules and the output simply won’t be accepted by the other nodes. Furthermore, the signature of the attacking node will be on the compromised data. Each node will tell the other nodes about the compromised node, leading to a possible block of the compromised node. Another advantage of a DHT is that it allows you to obtain data from multiple sources simultaneously. So if I, for instance, want to download a 1 GB file over a DHT, instead of downloading it from one source (limited by bandwidth, server availability, upload speed, etc) I can download the file from 10 different sources all at once. This way I bypass any bottlenecks and can download at maximum speed. It also means that I can continue the download even if a few of the sources are offline. In this way the DHT operates on the same principles as torrents (such as BitTorrent) do. One of the biggest selling points of Holochain is undoubtedly its ease of scalability. Blockchains are scalable, but getting them to grow and still remain fast is difficult to do. Current generation blockchains are far faster than old ones, but scalability remains an issue which always needs to be borne in mind by developers. By foregoing the need for consensus to be reached across the entire network, ease of scaling is designed into the very architecture of Holochain. Because Holochain agents each have their own hashchains and sign each transaction with their own signatures, scaling this way is virtually limitless to all intents and purposes. Holochain calls their method of agent-centric networking “membranes”. To make things sound a little more simple: I would define Holochain as a “modified hashgraph”, one which makes use of agents and signed transactions to ensure the authenticity of transactions. Their whitepaper calls it a “scalable agent-centric distributed generalized computing system”, which I think is a way of avoiding saying “hashgraph”, so that they can sound more original. There is no need to play with words Holochain; if your product is good then it will speak for itself, regardless of what label is put on it. Digest that for now, it’s enough to get you started. I don’t want to go to the next bit yet, because that’s where it starts to get tricky. Tomorrow we will look at Holochain, Holo, Holo fuel and HOT – you don’t want to confuse those! This series will be comprised of four parts. STEEM Price Touched Our First Price Target – What Next?